Def Jam debut album "From Nothin' To Somethin'" coming soon! Produced [...] for Icon Music Group. Recorded by Jordan Young for Loreal Inc. at House of Mirrors. Recorded by David Junco at The Icon Mansion, Miami, FL. Mixed [...] for Chairman of the Boards/Loreal Inc. at The Hit Factory Criteria, Miami, FL. 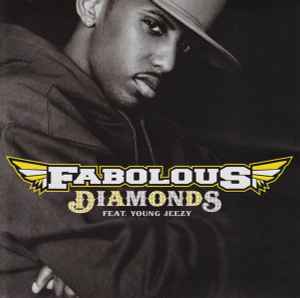 Contains samples from the Fabolous recording "Do The Damn Thang", written by John David Jackson, Jay W. Jenkins and Sharif Slater, published by EMI Blackwood Music Inc. o/b/o itself and Young Jeezy Music (BMI)/EMI April Music Inc. o/b/o itself and J. Brasco (ASCAP). Used by permission. All rights reserved. Produced under license from Atlantic Recording Corp. by arrangement with Rhino Entertainment Company, a Warner Music Group Company. ℗© 2007 The Island Def Jam Music Group. Distributed by Universal Music Distribution.